This WE Knife Co. lanyard is made from braided paracord in a black and orange color with a titanium bead. Add a colorful and functional accessory to your favorite WE knife with the Tied Paracord Lanyard. 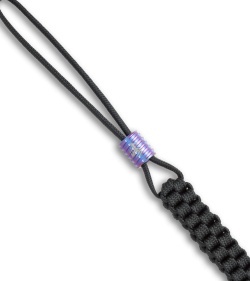 It has a large loop for tying to your knife and a 5.25" lanyard cord with a titanium bead.